10/3: TechCrunch reports that TWTR seeks $1 billion; revenue revealed, but no valuation announced yet. Twitter is ramping up for its initial public offering, anticipated to happen in the coming months. There’s no word on the valuation or the timing — speculation has it at $15 billion in 2014 — yet the company is taking key steps to position itself for the most successful launch. Or at least way better than Facebook‘s IPO. – Not following Facebook’s footsteps: Twitter is taking care to avoid the overvaluation that besieged Facebook’s launch in May 2012. Facebook’s opening price was $38/share and after a bump to $45 it eventually closed at $38.23 on that first day. Drama ensued, as the financial analysts called the IPO “botched” and the launch spawned a group of class-action suits against NASDAQ and another against Facebook (dismissed due to a faked plaintiff). Within three months the stock price bottomed out at $17.73. This week Facebook is above $47 share, marking a steady high. The conservative approach Twitter is taking for its valuation and its mix of banks, as detailed by the WSJ team, is more prudent — and more aligned with solid social stock LinkedIn, which has crafted a wonderful story for investors and social investment space since its debut in May 2011: LNKD debuted at $81.58, sank to $63.01 in seven months, and today opened at its highest price of $242.35). All of this bodes well for the next big social media IPO. – Enhancing the product: Twitter launched updated versions of its iPhone and iPad applications, which was perfectly timed with the launch of iOS7 and the new versions of the iPhone (5c and 5s). While reception of the new operating system seems to have been received as a necessary nuisance, the bombastic success of the new phone models surely made up for it: Apple sold 9 million units in the opening weekend of availability. Once again, Twitter is suiting up for a favorable IPO by capitalizing on the goodwill and good news of another partner (this one in the tech and usability space). 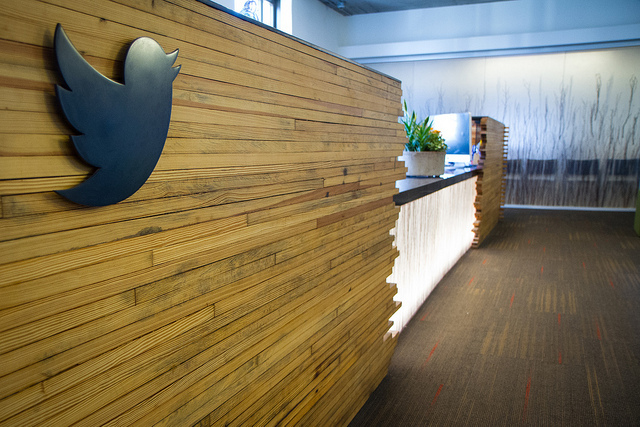 Twitter’s reach and pickup should continue to grow. – Going mainstream: BRAVO TV has done an excellent job of integrating Twitter with its programming, by featuring posts during the broadcasts of its show and also by encouraging its real-life characters to tweet (and then featuring that content on its own digital platforms). This cable network, like other media properties, promoted its own Twitter feeds and that helped build the social network’s audience. ESPN is another excellent example of Twitter integration. The industry agrees that social media and TV ratings are chicken-and-egg; no one is sure which is influencing the other to what degree. But they know it’s a winning combo. Twitter is taking this model to market with Amplify, which allows television programs to sell two-screen sponsorships to advertisers. – Cleaning up the books: To reduce the load of expenses on funding raised through the IPO, Twitter is seeking a loan, which could near the $1 billion mark. Seeking a line of credit at this stage is not unusual, and the funds could be used for pre-IPO acquisitions or international expansion, among other investments. I love Twitter, and this IPO has me intrigued. But this conservative approach to its IPO doesn’t make this investment a slam-dunk, even though I admire and trust Twitter’s early investors Union Square Ventures, Jeff Bezos and Marc Andreessen. Why? Advertising as a sole source of income is weak. Twitter is a technology company dancing in the media space. Some people equate it to a media company. It’s not. The company’s product enables media (people can create or share content). To consider Twitter a media company would be like calling GoDaddy (web hosting and other services) or Adobe (software maker) a media company. And these two companies profit by licensing fees. That’s what tech companies do. Twitter doesn’t charge fees for its technology. It’s free, so there goes that revenue stream (for now). Twitter has built a gigantic audience that’s second to Facebook. The exact number of users is unclear. And how many of them are real humans with active accounts also is unclear. Business Insider quoted a Twitter blog stating there were 200 million users (blog link is dead) and Twitter-owned Vine (short video platforms) has 40 million users. Meanwhile, Venture Beat believes Twitter has 1 billion registered accounts. How this audience is accounted is sealed in the confidential IPO filing. Still, the social network’s audience development started as a viral phenomenon and scaled up quickly as Twitter created partnerships with big content companies. These partnerships are free, so there goes that revenue stream (for now). Twitter has created advertising products (such as “Promoted Tweets”) so anyone — from individuals to small businesses to global brands — can pay to push their messages. But this is the same model every media company has. And the same model Google has. But Google has more, as discussed in the previous post, because they have loads of data on all the players (users, advertisers, every digital property) and the technology. Google isn’t charging for its technology because it doesn’t have to — all of its other assets are raking in dough. Twitter doesn’t have those other assets; or if they do, they are secret (for now). I like that Twitter acquired MoPub, a mobile ad firm, because that can bring in revenue; yet it still relies on wavering advertising budgets. I won’t be purchasing Twitter stock any time soon. I want to see how they intend to earn revenue. If it doesn’t extend beyond advertising, they won’t join my portfolio. But you’ll always find me @lizahoran. PHOTO by Aaron Durand for Twitter, Inc. Use with permission. Posted in Newsworthy and tagged digital strategy, Facebook, Google, IPO, social media, Twitter, WSJ. I’ll give Twitter at least 6 months post-IPO before I will consider this company a buy. In terms of advertising, I can see Twitter taking that offline in some way–billboards, sporting events, etc… Down the road, Twitter accounts may even be bought and sold in the same way that websites are bought/sold, with Twitter taking a cut. They may even be able to make deals with youtube, vimeo, etc…or even television. Or, they may offer a longer-than-140- character account as a premium account (similar to LinkedIn). Agreed, Paula! Six months is a good guideline. Would love to see how Twitter could take this offline. We’ll be watching!